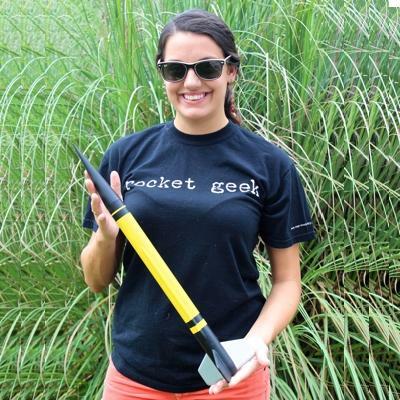 A high - flying scale model of this historic rocket! 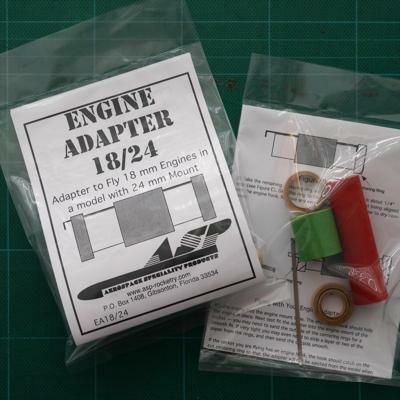 Designed to fly on D & E motors, it's still light enough to fly on selected 18 mm engines with adapter EA18/24 (not included). This kit has been recently updated and now features a balsa tailcone, quick-change engine hook and laser-cut fins! The instructions have also been totally updated! We really think you're going to like this "Version 2.0" of one of our original kits! 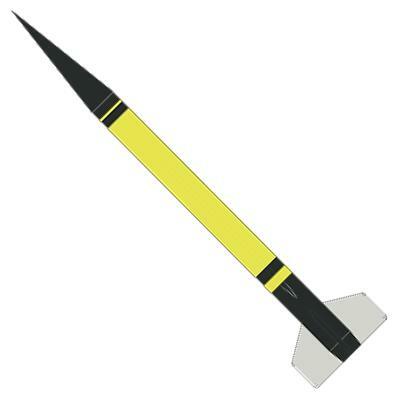 The WAC Corporal was the United States first sounding rocket. Seventeen WAC and WAC B rockets were flown from 1945 to 1947. The WAC was launched with the aid of the Tiny Tim solid propellant booster. After the booster burned out, it fell away and the liquid fuel propelled sustainer stage (depicted in this kit) continued its' upward flight. Adhesives (Wood glue, such as Elmer’s Carpenters Glue, can be used throughout and is recommended for most construction. Thin Cyanoacrylate [“CA”] is recommended for the parachute construction, but not required. Other adhesives [epoxy, CA, etc.] may be used if you are familiar with their use and prefer them. ); Hobby Knife with sharp #11 Blade; Ruler; Pencil; Felt Tip Marker; Masking Tape; Sandpapers (Coarse - 50 or 60 grit, Medium - 180 or 220, Fine 320 or 400, & [optionally] Extra-Fine - 500 or 600); Sanding Sealer (or other balsa filler coat); Thinner (appropriate for the type of sanding sealer used); Small Paint Brush (to apply sealer); Spray Paint (such as Testors or Krylon is recommended, do not mix brands/types with testing) - Primer (optional, but recommended), White and/or Yellow (see Step #17), Black, Silver & (optionally) Clear.